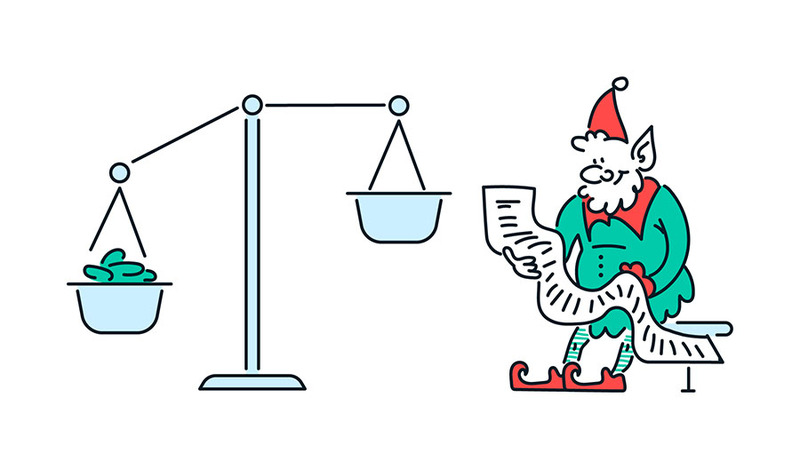 The holiday season is upon us once more, and that means many things for your business. On the one hand, you’re about to enter the most lucrative period of the year. However, you’ll also be considerably busier than usual, and will likely need to deal with a much higher number of customer support queries. To make sure your support can cope with the holiday rush, you’ll want to plan ahead. Strengthening and preparing your support team is key to helping them provide assistance for a huge influx of stressed customers. If you do that, you’ll be able to reap the benefits of the season more effectively. In this article, we’ll discuss why it’s particularly important to provide quality customer service throughout the holidays. We’ll also offer some tips for how you can prepare your business and support team in advance. Let’s get started! If you’re anything like us, you’re getting busier by the day preparing for the holiday season. However, this isn’t just a time for buying gifts and eating good food. It’s also the most critical period for businesses, as many companies make the bulk of their yearly sales during the last few weeks of the year. However, to make sure your business takes full advantage of this period, you’ll need to plan ahead carefully. There are plenty of ways to ensure that you’re ready for the holiday rush, and one of the most crucial is making sure your customer service will function flawlessly. Of course, providing high-quality customer support is always necessary. 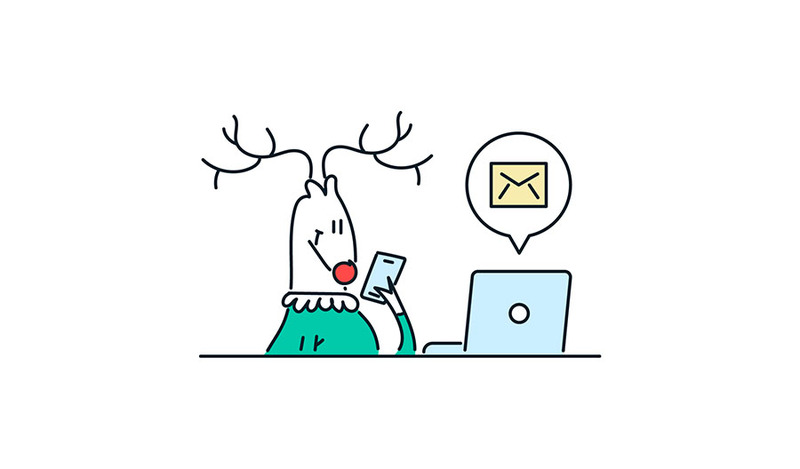 During the holiday rush, however, you will most likely be inundated with even more support queries, questions, and confused customers than at any other time of the year. And because of high stress levels, you’re also more likely to end up dealing with some frustrated and potentially antagonistic customers. This might sound intimidating. By preparing in advance and making a solid plan, however, you can ensure that your customer service will remain top-notch even under less-than-ideal circumstances. Not only will this help your customers, but it will be a huge benefit to you and your customer service agents as well. 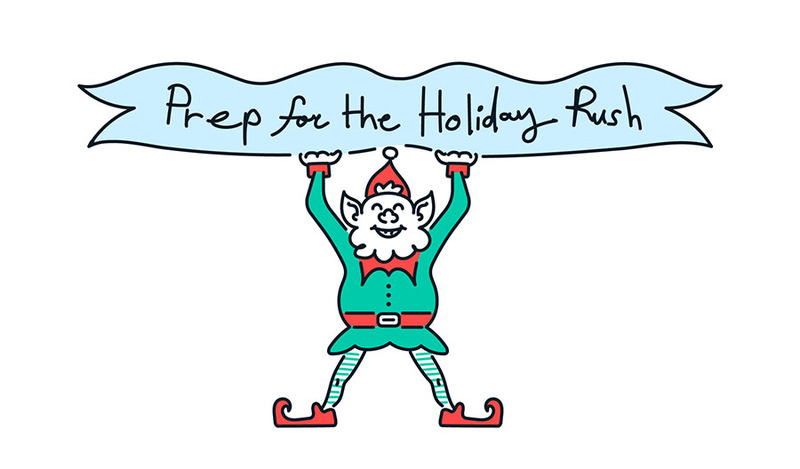 If you’re wondering: “When should I start to prepare for the holidays?”, our answer is right now! It’s never too early to start planning for the year’s final month, but having a plan in place at least before the beginning of December is highly recommended. With that in mind, we’re going to guide you through some of the most important steps you’ll want to take. Here are 10 things you can do prepare your customer service before Santa arrives! A perfect place to start your planning is to look back at the previous year. This will involve examining the volume of calls and messages you received, finding out what the most common pain points were, and trying to understand where your service may have been lacking. Having this data at hand will be a huge help when formulating a plan for the upcoming rush. You’ll be able to improve in areas where you’ve struggled previously, and you can also preemptively provide information for the most common customer questions. In turn, this will cut down on the number of queries your team has to field. How you go about doing this analysis will naturally depend on your toolset. If you’re using software like Zendesk or Awesome Support, you can just view the statistics and queries from previous years. You should also liaise with your support and marketing teams, as they’ll be best equipped to tell you where you need to focus your attention. How much larger is the volume of support queries you receive during the holiday shopping period, compared with the rest of the year? What are the most common questions customers have? How are most people choosing to contact you — via email, phone, chat, or some other medium? Of course, this is by no means an exhaustive list. However, these answers will help you immensely throughout the rest of your preparations. It’s essential that you know where to focus your attention during the holiday season. At first glance, it might seem like the best route to use every conceivable method of contact, but this can lead to spreading yourself too thin. Imagine that you have to simultaneously juggle phone lines, live chat, emails, and social media, in addition to updating your content and dealing with orders and shipping. In this scenario, you’ll likely see most — if not all — of those channels suffer in quality. This is especially true if you only have a small support team. To avoid this problem, you’ll need to consider which channels of communication to focus on. The best way to start is by looking at which channels are most commonly used by your customers. As we mentioned in the previous section, looking at earlier years’ support queries will give you a good baseline to work from. However, you’ll also want to consider which channels are most popular during the rest of the year. For example, if you find that your customers are primarily calling in or using your contact form throughout the year, it’s fair to assume that these will be the busiest channels during the holidays as well. Knowing this will let you assign more people to handle those channels, and avoid keeping customers waiting. The truth is that no matter how well you plan, the holidays are never completely predictable. This means you’ll need to have a contingency plan, in case you need to scale up or down with little notice. For example, what if you face twice as many support requests as you anticipated? You’ll need to be able to assign more time and manpower to deal with them, while also keeping the rest of your operations afloat. In this scenario, you might consider hiring remote seasonal workers to help out. This is something many companies do to handle the increased volume of work during the holidays. Hiring temporary workers gives you the freedom to change the size of your team at almost a moment’s notice. For example, you could use a service like PartnerHero to outsource some or all of your customer support work during this period. Naturally, you’ll need to ensure that these seasonal workers have all the assets and information they need, which is something we’ll discuss later on. With the right preparations in place, they should be able to slot into your normal operations with little friction and help you deal with almost any unexpected situation. Arguably the most significant way to avoid customer frustration is to manage their expectations. If your support is changing during the holidays, you need to make that clear as early as possible. They’ll need to be aware of when and how they will be able to contact you. It’s also smart to let customers know how your other operations are likely to alter. For example, will returns take longer to process, and will they need to wait a bit for responses to their emails? By letting them know what to expect, you can keep them informed and minimize the risk of frustration or hostility. One strategy you can use to your advantage is sometimes referred to as “underpromise and overdeliver.” The idea is that you prepare customers for potential issues that may arise, but then work to avoid those problems anyway. This lets you exceed their expectations. Overall, our recommendation is to be honest about what customers can expect and to make any changes clear through as many channels as possible. That includes on your website, social media, and even your email list. This will ensure that the bulk of your customers know what to expect. When the season gets going and you find yourself swamped in tasks, every second will count. To make sure you can use your available time most efficiently, you’ll want to consider automating tasks whenever it’s possible to do so. For instance, you can create an automated workflow using software like Help Scout. This can be set up to redirect customer queries to the person or team best suited to deal with them. Not only will this save time on your end, but it will also keep waiting times down for your stressed customers. Workflows also let you handle plenty of other tasks automatically, such as tracking products to let you know right away when stocks are low. You can then deal with the potential issue before it becomes a full-blown problem. There are plenty of other ways you can use automation during the holidays. One of the best strategies is to set up an AI-driven chatbot that can help you deal with the most common questions. This can dramatically cut down on the amount of time the human members of your team need to spend on customer support requests. In addition to automating parts of your support system, you can also optimize it by introducing a triage process. This involves sorting tasks and support queries into categories depending on their urgency. You can then prioritize more urgent matters first, while non-emergency tasks can be dealt with later. Implementing triage into your customer service will let you focus your attention on what matters most at any given time. The most pressing and time-sensitive tasks can be dealt with right away, minimizing the risk of making your customers feel frustrated and hostile. However, you need to remember that you’ll still have to actually deal with all requests. If you find that you’re never getting around to handling low-priority tasks, you may need to consider scaling your team up temporarily by assigning additional personnel. Earlier, we discussed the importance of keeping your customers informed. However, this extends beyond just letting them know about changes to your schedule. By making sure that all of your content and assets are up-to-date, you can save both customers and yourself a lot of time and hassle. For example, if you provide a knowledge base with information about your products and services, you can use it to answer most of the most commonly asked questions during the holiday period. 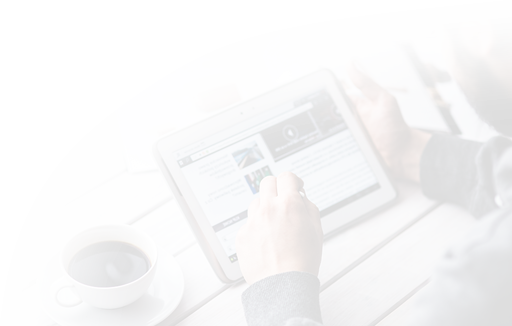 In many cases, your support team can simply refer customers to relevant knowledge base articles, answering their queries quickly. For this to work, you’ll obviously need to ensure that you provide as much documentation and information as possible. It also needs to be thoroughly updated, to ensure that you don’t cause additional confusion among your customers. If you need to set up a knowledge base, you can use a plugin such as Heroic Knowledge Base. If you already have one, on the other hand, you should perform a content audit well before the holiday rush kicks in. This can also involve reviewing similar resources, such as your FAQ page. The holidays are intended to offer relaxation and fun, but we all know that it can also be a thoroughly stressful period. As such, you’re likely to deal with a few customers who are particularly difficult, frustrated, or even outright antagonistic. Naturally, you’ll need to prepare in order to help them out and avoid angering them further. Dealing with difficult customers is a delicate task. The most valuable advice we can offer is to train your support team to stay calm and professional at all times, no matter what a customer might say. Listen. If the customer feels like they’re being deflected or ignored, they’re only going to get angrier and less responsive. Be quick. Naturally, your goal is to be as a fast as possible with all support queries. However, it can be worth prioritizing more stressed customers, to avoid further incident. Treat them like people. We discussed the value of automation earlier, but in tough cases, it’s better to take a personal approach. Make it clear to the customer that you’re handling their issue and care about their frustration, so they don’t feel like they’re being treated as a nuisance. In short, by listening to the customer and being prepared to meet them halfway, you can usually solve even the most heated of issues. In some situations, you may need to compensate customers. Especially in the most volatile or challenging cases, a simple gift can help to smooth things over immensely. Some customers might even demand this kind of treatment. Providing compensation can help to soften even the most upset customers. It can also win back some goodwill. Your goal is to ensure that the customer considers using your business again in the future, despite their current grievances. Naturally, you’ll want to be very careful about how and when you compensate customers. In some cases, such as when they’ve received a faulty product, you may be legally obligated to provide a new item or a refund. However, you can also provide compensation if a customer has had a particularly difficult experience, either with your business or your customer service. This could be in the form of a small gift, a coupon, a discount, or anything else that’s convenient but useful to the customer. Finally, while it’s obviously necessary to take care of your customers, you shouldn’t ignore the people on your own front lines. Beginning on Black Friday and Cyber Monday, the holiday rush is a stressful experience for everyone, especially those who have to field questions and requests from wound-up customers. Depending on the size of your business, you can take care of your support team in several ways. Naturally, you should make sure they have everything they’ll need to do their jobs without incident. However, it’s also nice to reward your support team further, to show your appreciation for all their hard work. Even something as simple as the occasional gift, like seasonally appropriate sweets and drinks, can do a lot to raise morale during this hectic season. The holidays are meant to be a time of joy, but it can be hard to feel merry if your customer service is strained. By preparing well in advance, you can put a plan into place, train your team, and inform your customers — providing effective and efficient support as a result. 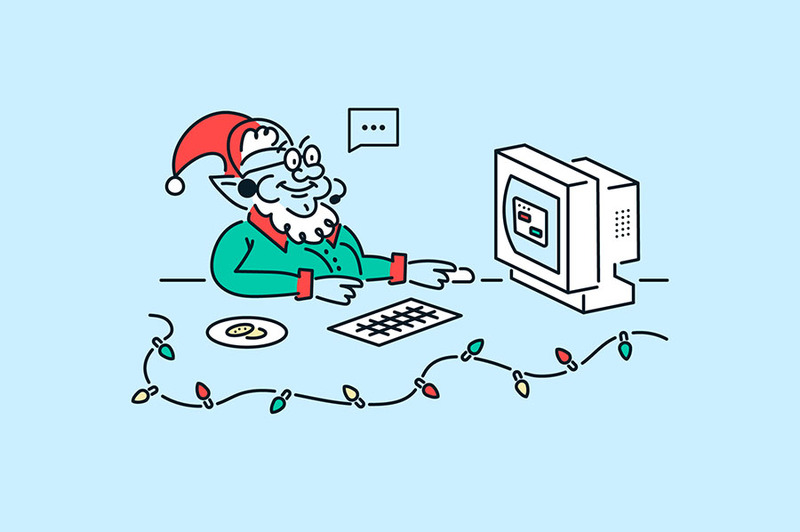 Do you have any questions about how to handle customer support during the holiday rush? Find us on social and let’s start the conversation!